Packets are sent out to the family members of those lost to suicide or mental illness. 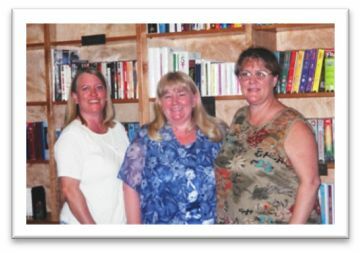 Our goal is to reach out in loving memory and offer hope and encouragement by sharing our story. 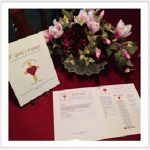 Included in each packet is a condolence letter, information about lil’ Gary’s Legacy, Gary’s Poem, Pastor Rick Warren’s booklet “What On Earth Am I Here For”, pamphlets on grief and resources on grief support groups and recovery. To request a packet for yourself or someone else, send an email to lilgaryslegacy@cox.net. Gary attended this church and enjoyed playing the drums in the worship band on occasion. Surrounded by family, special friends and our brothers and sisters in the Lord, we dedicated a Christian Library to Soul Survivor Church in Cedar City, Utah. The service was all that we had hoped and prayed it would be. Gary’s memory was truly honored! There was a spirit of unity as many churches joined together to support and welcome this valuable resource to the community. Pastor Jonathan Holiman gave an inspiring message which concluded with an invitation to not let Gary’s death be in vain. Four names were written in the Lambs Book of Life that day; lives that are forever changed for eternity. 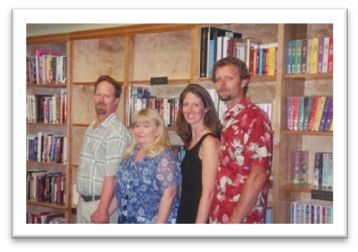 The library has since been donated to Grace Christian Church in Parowan, Utah. 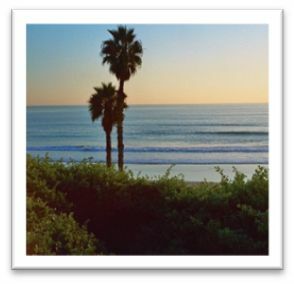 Gary loved the ocean and body surfed at this beach as a youth. “Seek to be a blessing” is in the last line of the God-inspired poem written in loving memory of Gary; as God leads us, we distribute this poem in the form of a bookmark along with inspirational reading material to prisoners, individuals in rehabilitation facilities and at-risk young people.